Filey is a small but popular tourist spot within the borough of Scarborough. 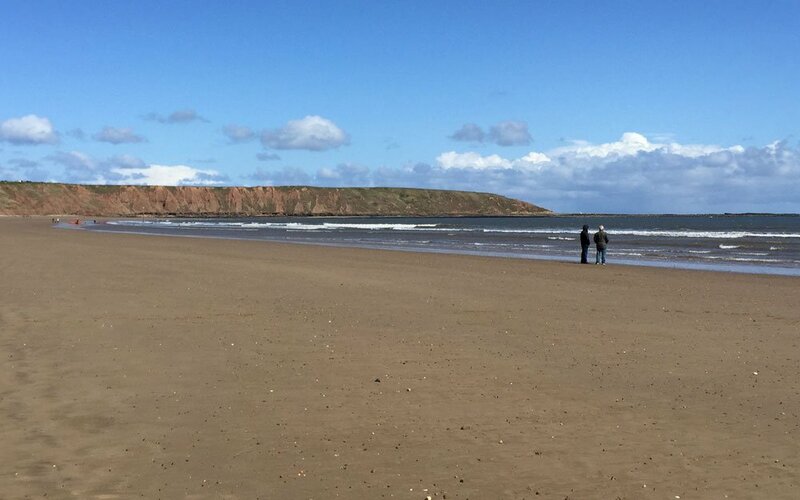 Filey Bay features a curved, shallow, sandy beach with tall cliffs at its northern end, which curve eastward to a narrow, rocky peninsula called The Brigg. Moving south, the beach is backed by a sea wall, then opens out again to slowly collapsing, cliffs. Continue South and you’ll pass Primrose Valley, Hunmany Gap, Reighton Sands, and eventually reach Bempton, where the beach gives way to tall cliffs. The bay is well protected from swell by the Brigg. On a good day you’ll find really small, clean waves with flat spots between them, perfect for freestyle riding, and boosting air. Filey will work on anything from N to S. You would expect the cliffs at the north end to totally kill a northerly wind, but surprisingly it usually still works. The best directions are from NE to SE. Filey has a relatively small tidal range, and the water comes right up to the cliffs & sea wall, leaving no space to launch or land. Leave at least 3 hours either side of high tide. Whilst protected by the Brigg from the swell, Filey can still get reasonable sized waves. They're much cleaner than neighbouring Hunmanby Gap, and usually smaller too. 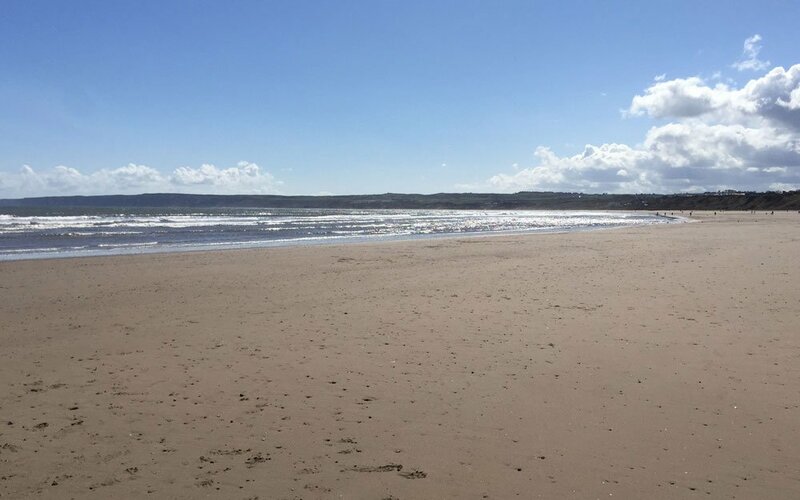 Filey is sometimes used by surfers, so on the right day directional board riders will enjoy riding here. Most of the time it's more of a freestyle / freeride venue. Lots of fun to be had boosting of the small waves. In the summer months Filey can get very busy with tourists. Parking can be a nightmare and you'll find yourself dodging paddlers left, right and centre. It's a bit of a case of finding the clearest spot and staying away from the shoreline as best you can. It's a very shallow beach so you can still stand up quite a way out. There are no restrictions in place yet, but you don't see all that many kitesurfers. If you do visit, please try to avoid conflict with other beach users. We'd hate to end up with a ban. The public: kids, dog walkers etc. It's a really busy beach. Parking can be a nightmare at Filey. If you're lucky you'll find a spot right on the seafront road. If not, there are often spots at either end of that road. At the southern end the road curves up toward the town, you might find spots up there. At the northern end there are more spaces up the hill. If you still have no luck, you can carry on up the hill at the northern end, veer to the right, then turn right and follow the road round. You'll come to a huge clifftop carpark (Filey Brigg Country Park). There's a ramp down to the beach from there. We've marked the location of the carpark in the map below.